2016 09 12 – Rotations Using GoMath! 2016 09 20 – I Do, We Do, You Do with CRA and GoMath! 2016 09 24 – Why Do I Supplement and With What? Teachers will receive all the latest information related to LEAP 2025, consider strategies for ensuring maximum student readiness, and receive all the latest information on our potential curriculum changes for 2018-19. There will be refreshments and giveaways! Dr. David Thomas will lead this 1-hour session for math teachers who will better understand this component of rigor through the context of a single word problem. Amanda Perry will lead this 1-hour session for all middle school math teachers, who will learn to create and deliver meaningful math lessons using learning stations. Teachers will learn about efficient planning practices as well as details of how to make learning stations work in their respective classrooms. 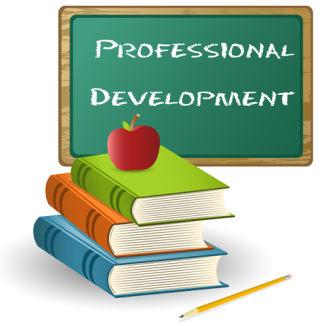 This email series will recap our prior PD sessions and address instructional topics for the remainder of this school year. Middle and high school math teachers will gather at these meetings to learn how the Conceptual Understanding component of rigor will be assessed on this year’s spring tests. The training will be held at various campuses on various dates, so choose the session that best meets your needs. See you there! In an attempt to reach everyone with the information that is important for you and your students, we will be trying an email format accompanied with a Google Form. Emails will go out at the dates listed below and will have simple instructions for you to follow. Altough face-to-face meetings are still important, we look forward to hearing what you think about this alternative training format. For each Google Form completed, you will receive a 1-hour CLU certificate and if you complete it on or before the due date, your name will be entered into a drawing for your choice of prizes to be announced at the end of January. 4:30 p.m – 5:30 p.m. Completion of each Google Form will result in a 1-hour CLU certificate and if you complete it on or before the due date, your name will be entered into a drawing for your choice of prizes to be announced at the end of January. © 2015. All Rights Reserved. Caddo Parish Public Schools. Powered by Crawford Design Group.